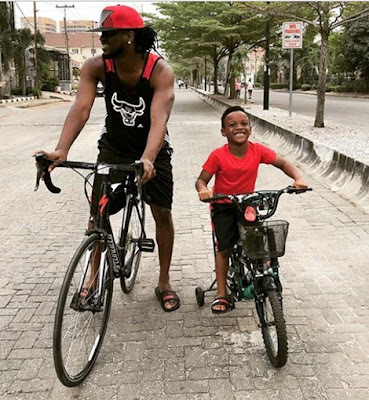 Paul Okoye, one-half duo of the most popular Nigerian R&B group, P-Square, has taken to his Instagram page to share some photos of his son, Andre Okoye, who on Friday, came 3rd in his school's annual inter-house sports competition in Lagos. The singer posted the photos and wrote: "School sports day #interhousesports yeah !!! 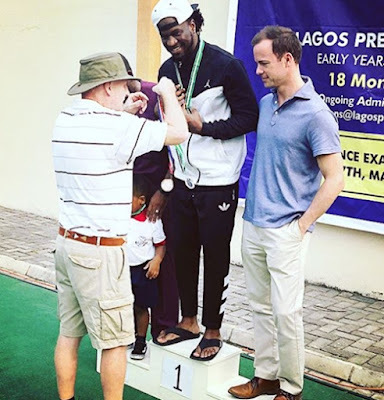 I won the daddy’s race and Andre came 3rd #champs #winners."